Literacy Launchpad: Preparing A Lesson. I always have high hopes of getting my lesson plans done way ahead of time, but that hardly ever happens. I'm always burning the midnight oil the night before class. That's especially true lately with us beginning our adoption from Ethiopia. Oi! So fun, but SO tiring! O.K. So we're reading The Apple Pie That Papa Baked (Lauren Thompson). 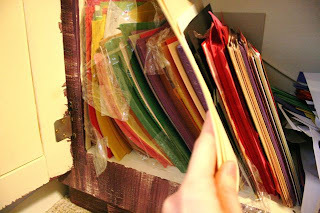 I want to make some story pieces... Do I have some felt? 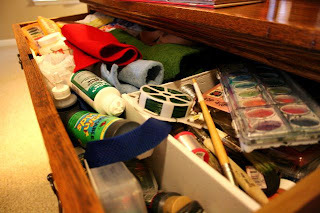 Let's look in one of my craft drawers here. Yikes! Messy! What am I thinking? Felt is going to be way hard to make these out of this late. Let's see if I have any card stock. Yes! I do. And it's cream colored too. It'll coordinate nicely with Jonathan Bean's illustrations in the book. Note to self though: You're running dangerously low on card stock and construction paper. Buy more!! 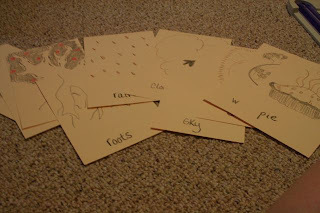 I feel like I've been using lots of homemade story cards lately. I sometimes get stuck on something like that when it comes to my lessons. Ah well. 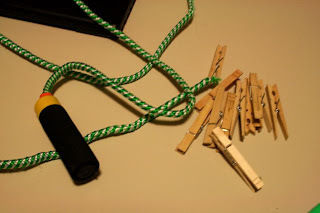 It always works great and the kids have fun with it. That's all that matters. 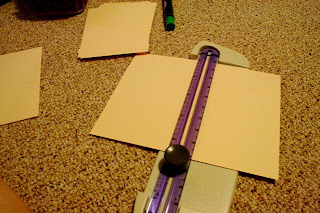 Let's slice up this card stock! 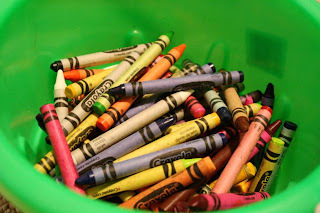 Bucket o' crayons? There you are! I'll keep with the color scheme used in the book and use black, brown, and red. Sorry carnation pink and cerulean. Maybe next time! Mmmm! Pie! 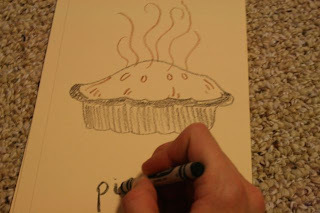 My drawing looks good enough to eat! Whew! That took way less time than fussing with felt, and accomplishes the same thing... perhaps even better than the left would have. I'm more than satisfied with how these story cards turned out. 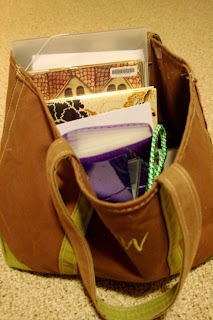 Throw everything in my bag and I'm all ready to go for tomorrow! Be sure to come back and see what we did with all this! 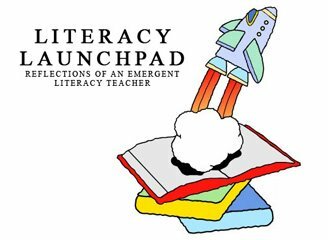 Literacy Launchpad Interview @ Kids Book Review! Book Chook and Literacy Lava to the Rescue!